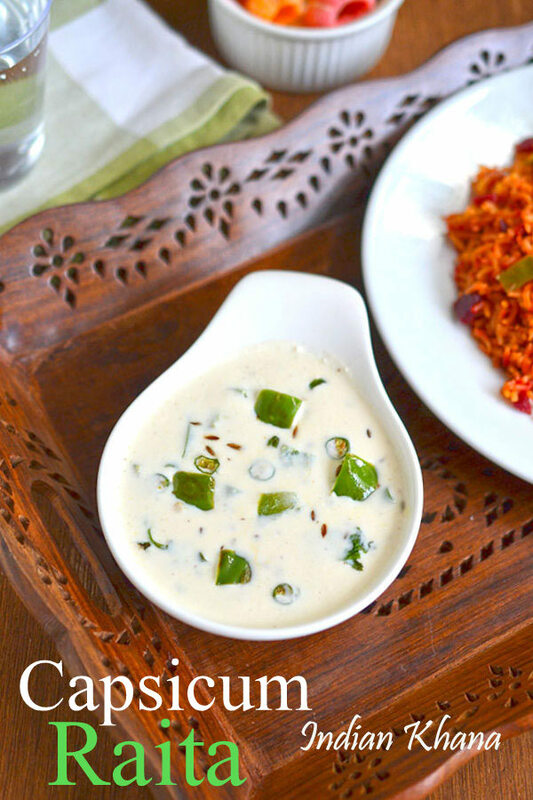 Capsicum Raita or Shimla Mirch raita is one of the easy raita recipe, it taste unique and different from normal cucumber raita, onion tomato raita etc. Capsicum adds good crunch and flavor to this raita and it's also very quick to prepare with minimal ingredients. 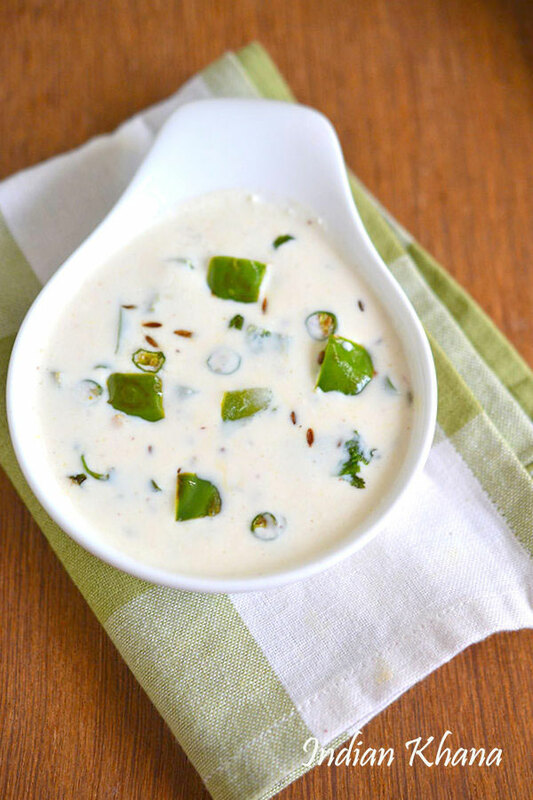 We can customized this capsicum raita in various way and add along other any other vegetable of choice, tri-color capsicums to make it more interesting and fun. This capsicum raita goes well with any paratha, pulao, variety rice of choice though personally I like this with pulao, variety rice. 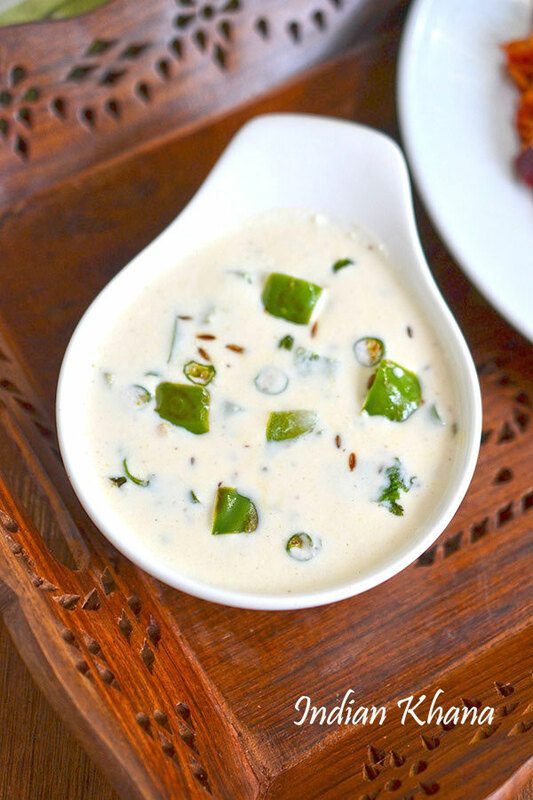 If you want to try something different from usual raita or want to surprise your guests, friends then this capsicum raita is very good choice and it's liked by everyone too. In this peak summer raita is great comfort food and I am trying to cook fast, simple food now a days as standing in kitchen is unbearable, just making one-pot easy meal and pair it up with easy raita for a comfort lunch. 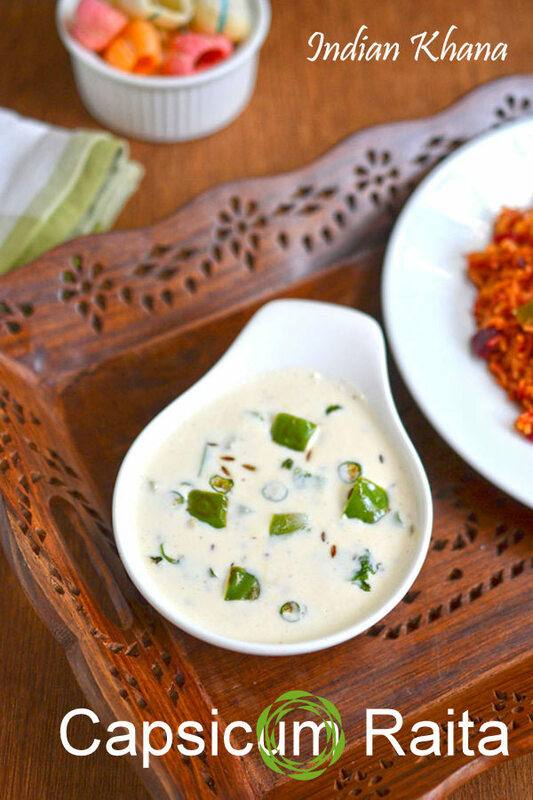 Easy, refreshing raita made with capsicum and light spices. Wash and chop capsicum in bite size, finely chop green chili, coriander leaves (cilantro). Whisk curd well in a wide bowl and keep aside. In a small pan or wok heat oil add cumin seeds and allow to splutter. Add capsicum, green chili and cook for a minute or two, don't get capsicum get brown and it should retain the crunchiness. Add cumin powder, black salt, salt (if required) with curd and whisk well. Add cooked capsicum, coriander leaves and mix well. Serve immediately or chili until ready to serve with any paratha, pulao, variety rice etc. Adding cumin seeds for tadka enhance flavor of raita so don't miss that. You can use of colored capsicum too. You can also add little of chopped cucumber and/or onion etc.